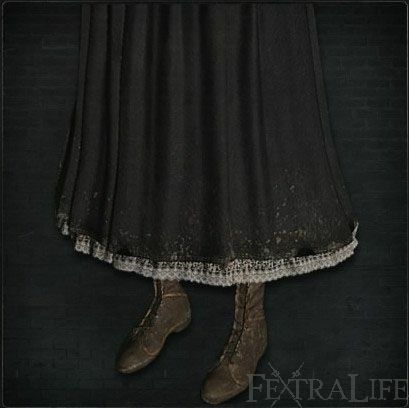 Doll Skirt is a Head Armor/Attire in Bloodborne. It is part of Set.
" Discarded doll skirt, likely a spare for dress-up." "A deep love for the doll can be sumised by the fine craftsmanship of this article, and the care with which it was kept." "It borderlines on mania, and exudes a slight warmth."